With our unique “EasyCrystal” software, you are being provided with a free-of-charge tool (freeware) with which you can convert your own 3D models into a point cloud for laser engraving. You can buy internally engraved glass cubes all over the world, but not with your own motif! 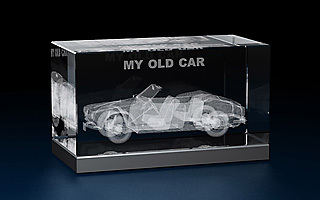 EasyCrystal enables you to simply keep your own creation for posterity in glass (from virtual to real). Simply send us your 3D point cloud and, upon payment, we will immediately engrave your motif in your requested glass size. 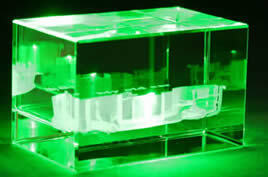 The design of the glass cube is solely up to you and you need not give away your valuable 3D data file.